Image of the Week #5: Start Christmas Early! We often talk about how Christmas seems so commercialized and how companies regularly try to push back the start of when they can advertise and nudge people to buy for the holidays. 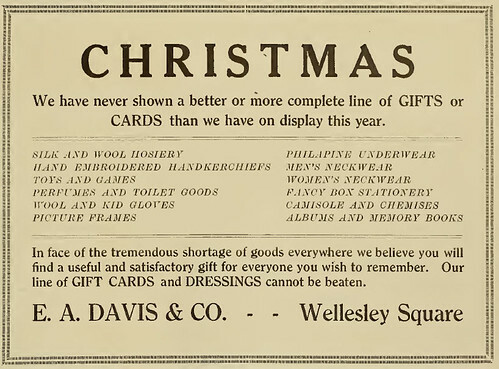 This ad from November 13, 1919 shows that this is almost a century-old practice. They even offer "Gift Cards." Clearly, it's ads like these that remind me there is nothing new under the sun.